Engineering is the branch of science and technology involved with the design and building of machines and it’s not every day that a machine gets smaller and lighter while maintaining premium performance. Today, Alienware is proud to announce the Alienware m15 with our “Epic” industrial design featuring magnesium alloy surfaces built for both power and portability. 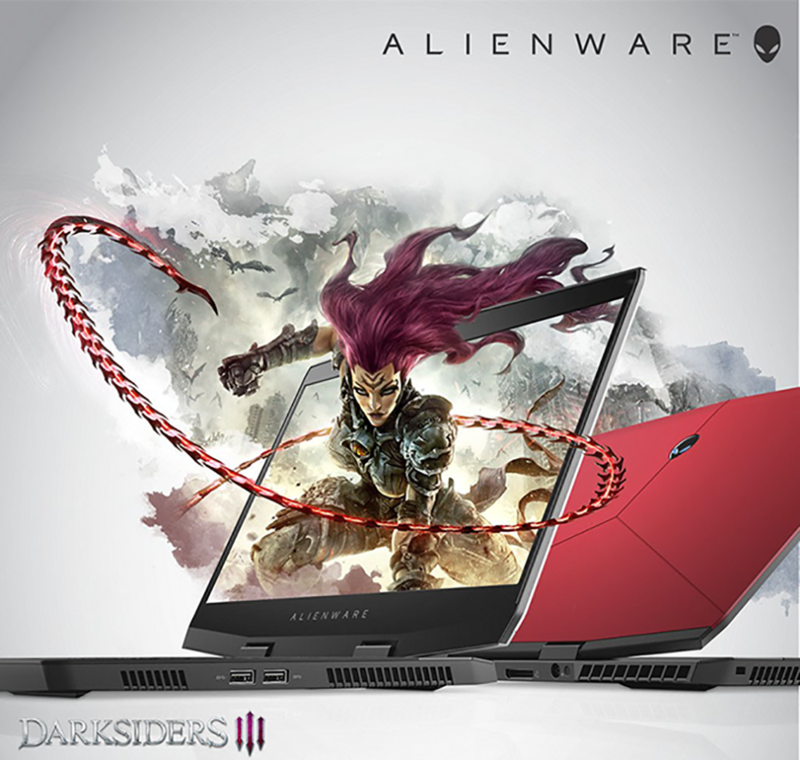 Available in Epic Silver and Nebula Red, Alienware m15 lets gamers play where, and how, they want to play – without sacrificing the performance they have come to know and love from Alienware. Whether heading to a friend’s house to chew up opponents in a late-night battle royal game, spectating your favorite esports tournament on-the-go or dominating from the hotel on your next road trip, it’s a light-weight piece of artillery that will deliver powerful PC gaming experiences. Available for sale now starting at $1,379 USD, direct from Alienware.com and in retail stores. Please note, regional availability will vary. Adding to a growing and award-winning portfolio of gaming systems, the Alienware m15 is the lightest and thinnest 15” gaming laptop ever from Alienware and the best solution for gamers who prioritize weight and thinness allowing for even more portability. Attuned to the evolving on-the-go lifestyle of our gaming community, Alienware has in its DNA a 22-year history of designing premium, high-performance desktops, laptops and other PC gaming devices. Both Alienware and Dell share a commitment to innovation driven by visionary pride, consumer need and community. Did we compromise performance and quality by going thinner and lighter on the m15? If you know Alienware, you don’t need to ask. Optimized for performance, quality and maximum mobility, our design and engineering teams worked tirelessly to pack it all into a form factor approximately 14.3” by 10.8” and less than .83” from front to back cover, weighing a mere 4.78 pounds. Its sleek design features a narrow side bezel to maximize screen space to view explosive action and another first, a numeric keypad on a sub-17” Alienware laptop. The new Alienware mSeries keyboard even features 1.4mm of key travel, anti-ghosting keys and four Alien-FX enabled zones to light up the room during any gameplay, while also supporting in game lighting reactions for over 150 game titles. The Alienware m15 cranks up the performance with 8th generation Intel processors and NVIDIA GeForce GTX 1060 OC and 1070 Max-Q graphics cards capable of VR and beyond, with additional support for the Alienware Graphics Amplifier. Of course, it comes with all the bells and whistles you expect, including our Alienware Command Center technology with AlienFX customizable RGB-lighting across six unique zones, Alienware Cryo-Tech 2.0 for superior thermal management, and while on idle up to a maximum of 17 hours of battery life* with the optional 90Whr battery. It’s a lean and efficient gaming machine. GAME ON! Any Time! Any Where! *Based on internal testing in Dell labs, running the system on idle, using an Alienware m15 equipped with the optional 90Whr battery as well as the Intel Core i5 processor and an NVIDIA GeForce GTX 1050 Ti graphics card. m15 with Intel Core i5 processor and NVIDIA GeForce GTX 1050 Ti configuration available in Mid-November based on regional availability.